I know it would be ridiculous to have a whole row of bedside tables beside my bed but since spotting these, I’m seriously considering it. 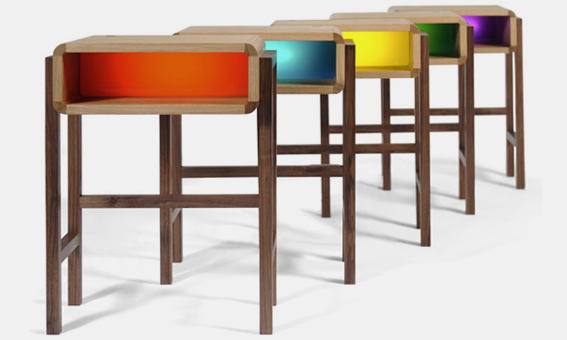 The Night Light Table is a collaboration between British designers Richard Bannister and Charlie Crowther-Smith. 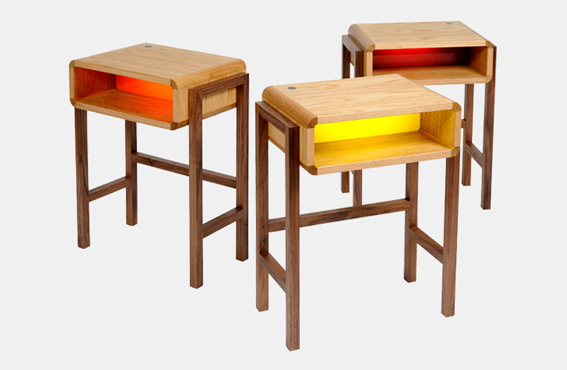 The designers wanted to create a bed side table that could also emit ambient light. The result is both practical and a modern beauty. The table is made from solid walnut and comes with either an ash or oak top. Of course, the fun is choosing your hue – it’s available in ten colours from cool blue to bright green and warm orange. The on/off switch is made of walnut and is cleverly integrated into the table top for seamless design. The Night Light Table would be brilliant in a child’s room, eliminating the need for a traditional night light. 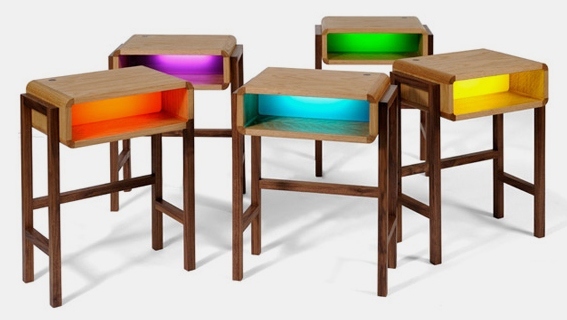 The Night Light Table is £330. Contact the designers directly for more details.